step 1. 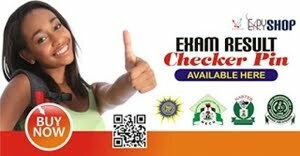 Click Here to Visit the new JAMB e-facility(jamb.org.ng/efacility). step 2. Create a new account and log in. step 3. Once, you’re logged in. Click on Check Admission Status as shown in the image below. step 4. 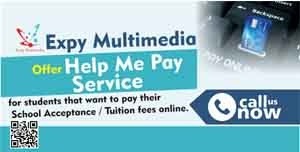 Select Examination & Enter your Jamb Reg number and the space provided. step 5. Click on the blue “check admission status” button. 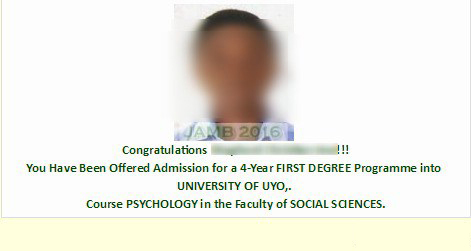 And your 2016 Jamb Admission status will be displayed to you. And that’s how to check your Jamb Admission status. Only names sent to Jamb is available on the portal at the moment. If yours shows no admission yet. Just calm down and check on a later date. Use the facebook and twitter share button at the bottom of this page. Use that button to share this news with your friends. You now good things come to those who spread useful news right? Share it now. It means a lot to me.